U.S. District Judge Richard Berman said he had "no qualms" about the willingness of both sides to try to reach a settlement in the controversy that has hung over professional football since New England easily won the AFC title game in January. Goodell in July upheld a four-game suspension of Brady, concluding the quarterback colluded with two Patriots ball handlers to deflate footballs before the 45-7 victory over the Colts. Brady said he had no role in it. The players union wants the suspension eliminated. Speaking at a hearing that lasted less than five minutes, Berman noted that senior executives from the league and the NFL Players Association who had not attended several previous settlement talks joined more than an hour of negotiations Monday morning. 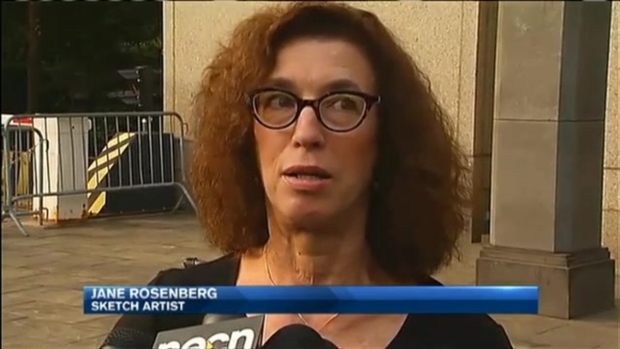 The court artist whose sketch of Tom Brady during the first "Deflategate" civil suit went viral has unveiled a new portrait of Brady and says she plans to focus more on Brady during the next hearing Monday. Outside court, Feely said the sides tried their best for a settlement. "For us it reinforces the desire and the need for an independent arbitrator in these matters of personal conduct," Feely said. "But we understand Tom's position and I think the process will work itself out." "It won't be today, but hopefully tomorrow or the day after," he said of a written ruling. Berman said a week ago that he hoped to rule by Friday, giving the Patriots enough time to prepare for their Sept. 10 season opener against the Pittsburgh Steelers. 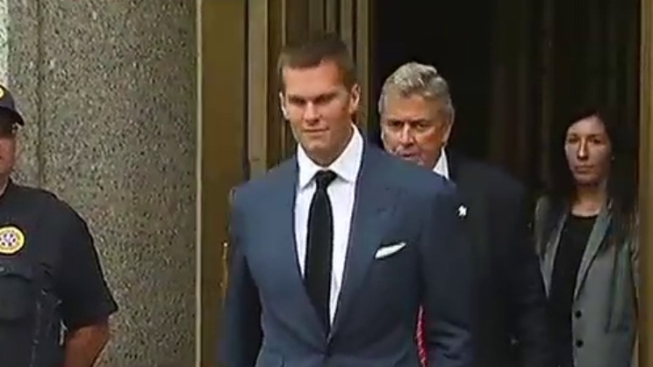 When Berman rules, it will either uphold or eliminate Brady's suspension. 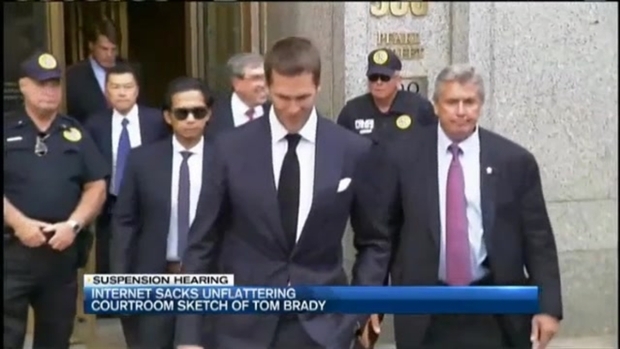 Berman had ordered Goodell and Brady to attend Monday's hearing. Both arrived 90 minutes early to participate in talks in the judge's robing room. Berman has said a settlement would be "rational and logical" but also cited weaknesses in the way the NFL handled the controversy that was nicknamed "Deflategate." The judge has also suggested that the league's finding was too vague, that Brady was generally aware that game balls were being deflated.